An attempt was made to request data that is not available to the key that was used to authenticate the request.API Error ID: 011D11C2AC0F4F7A9702AEBE8705CD56 The API says: [The site you are attempting to access has been disabled] While attempting request to (https://api.wolfnet.com/core/auth). Very little can be done concerning a home’s location. There will always be buyers looking in every location. Is your home’s appearance pleasing to the eye? Fortunately, much can be done to improve your home’s presentation, often at little cost. Grooming the yard, filling holes, trimming bushes, picking up yard tools and toys, eliminating yard trash and other unsightly items make a big difference in curb appeal. If your home has any rotting wood, damaged siding, missing shingles, peeling paint and other obvious issues, you should consider having these items repaired. It is likely that potential buyers will ignore your house if they feel it requires too much work. It is also likely that you may be required to make these repairs per a contract… so you might as well take care of these things now. If your home has been on the market for an extended period of time with little activity and no offers, it is most likely a matter of price. Homeowners often feel that their property is worth more than it actually is. Remember, regardless of what you have invested, regardless of what proceeds you may need from the sale, the market determines your price. Your home MUST be priced competitively to garner serious attention from buyers. It also must be priced accurately to pass the appraisal required by lenders so buyers requiring financing will be able to purchase your home. 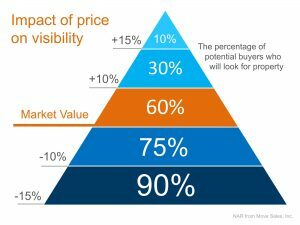 It is also quite important to enter the market at the right price to maximize exposure to buyers. The first four weeks are critical to your success, as this is when the market pays the most attention to your listing. Another tell-tale indicator of a home’s inability to sell is poor marketing. Seeing your home sold requires a plan, preparation, attention, diligence and plenty of hard work. Today, homes must be aggressively marketed to be sold. The days of planting a sign in the yard and putting up a listing on the local MLS are gone. Homes must be widely and professionally marketed to gain the attention of every possible buyer. This requires both skill and investment. Most homeowners and many agents are neither prepared nor qualified to take this on. Every day, thousands of new homes enter the market. How will yours stand out and be noticed? Potential buyers must be exposed to your home. They may not find it on their own. Modern marketing tools such as expert photography, hi-def video, aerial photography, professionally-written text, customized signs, a dedicated home web page, active social media campaigns, targeted email, postcards, personal phone calls and more are necessary to expose your home to the largest audience of active home buyers and get your home sold. An aggressive marketing strategy coupled with methodical effort, are crucial to successfully seeing your home sold. You need to have proven expertise working for you. Don’t settle for anything less. Your choice of Realtor® matters. Not all Realtors® approach the task of selling your home in the same manner. Some are small, local companies while others are larger national firms. To get your home sold, your Realtor® must have the specialized tools and the commitment to effectively market your home and thus attract buyers on a large scale. That’s right; you hire a Realtor® to do a job… which is to represent your best interests and sell your house. Your Realtor® must be up for these tasks of seeing your home sold. Expect to have a personal relationship where your Realtor® handles all aspects of your transaction and stays in touch with you throughout the process. Expect results.